Steve Elias, MD is the Director of Englewood Hospital’s Vein Center, as well as the Medical Director for Vein Magazine. He is a fellowship-trained vascular surgeon and is board certified in Phlebology and Surgery. 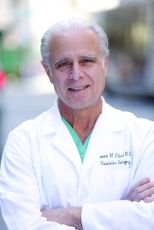 In addition, Dr. Elias is a member of The New York Society of Vascular Surgery and The New Jersey Vascular Society. He is a recipient of the Dardik Research and Education Award and The Fellows Education Award.